Great Opportunity to Own 5 Acres that backs up to US Forest Land with access to ATV Trails. Build your Dream Home while living in this 1975, 3 Bedroom 1.5 Bath Manufactured Home. 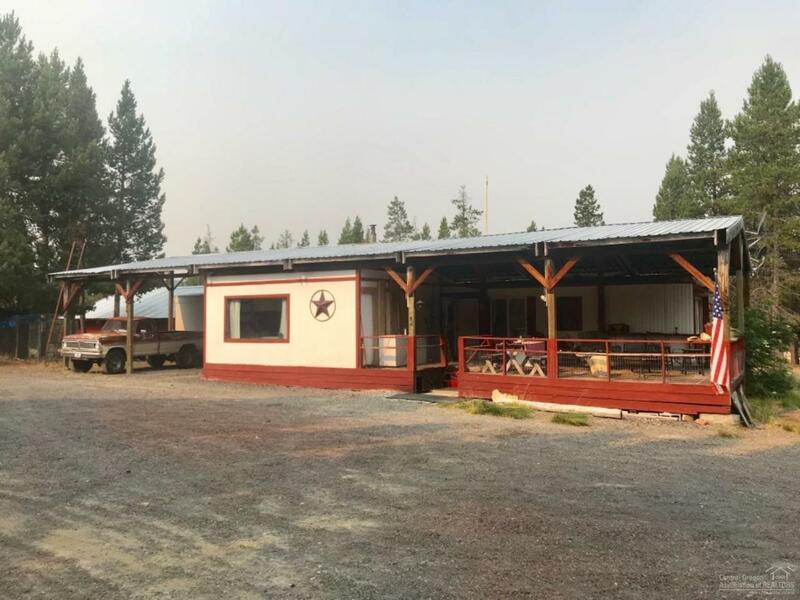 Large RV Open Shop with Storage Building and an Addition Large Shop as well. Open 3 Bay Carport/Storage Down Below Home to park all your toys.